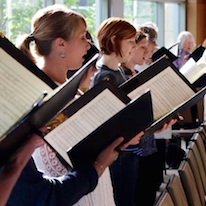 The Seattle Symphony Chorale serves as the official chorus of the Seattle Symphony. Over its past four decades, the Chorale has grown in artistry and stature, establishing itself as a highly respected ensemble. 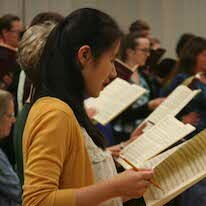 Critics have described the Chorale’s work as “beautiful, prayerful, expressive,” “superb” and “robust,” and have praised it for its “impressive clarity and precision.” The Chorale’s 120 volunteer members, who are teachers, doctors, attorneys, musicians, students, bankers and professionals from all fields, bring not only musical excellence, but a sheer love of music and performance to their endeavor. 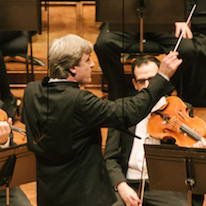 Directed by Joseph Crnko, Associate Conductor for Choral Activities, the Chorale performs with the Seattle Symphony both onstage and in recorded performances.